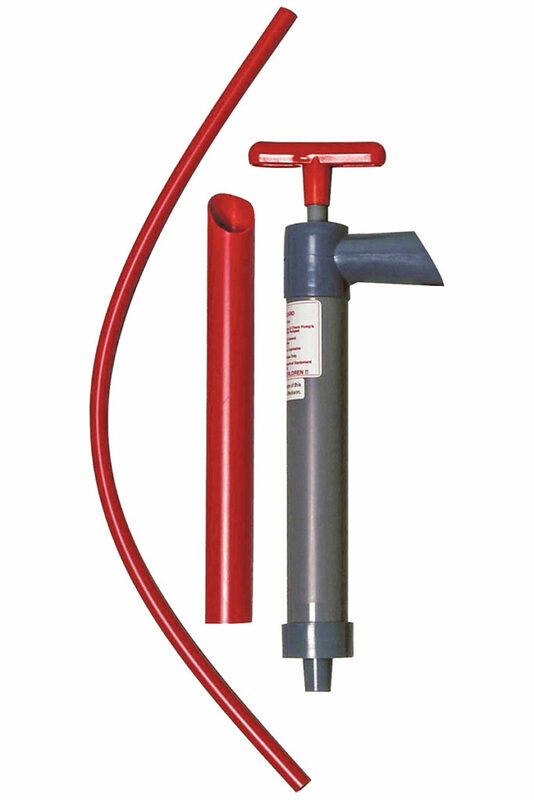 A utility pump with a flexible intake hose can be a welcome problem solver in many situations. The Beckson Utility Pump 212A makes transferring water or petroleum products other than gasoline out of tanks, semienclosed places or any other tight space quick and easy. The Beckson 212A works for draining traps, drain pipes and other curved piping and can be utilized for routine and emergency pumping jobs. Made completely of durable marine-grade plastic, the 212A will not rust or corrode, and it requires no priming to begin pumping.